Challenged by utilitarianism - Humanist Society of Victoria inc. The following is a report on a recent lecture in which ethicist, Peter Singer, described the influence that John Stuart Mill’s Utilitarianism had on his work. John Stuart Mill’s Utilitarianism is the most read of the classic 19th century works on this philosophical stance, and still influences current ethical thought. John Stuart Mill was a British philosopher and political economist who authored the 1863 text Utilitarianism, honing its definition, scribbling in the margins and fundamentally influencing the way individuals and scholars understand utilitarianism today. 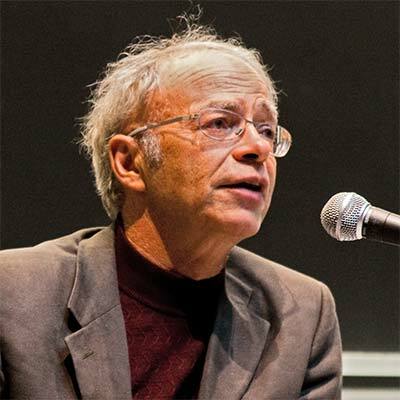 Professor Peter Singer, who splits his time between the University of Melbourne and Princeton University, recently addressed John Stuart Mill’s seminal philosophical work at the Faculty of Arts’ latest installation of the 10 Great Books series. When looking at the word utilitarianism, you might find yourself squinting and trying to summon, through the dusty corridors of memory, what it really means. Utilitarianism is often summarised as the outcome that produces ‘the greatest good for the greatest number’. Like so many philosophical positions it provides an answer to any number of ethical dilemmas, yet raises more questions in the same gesture. When pondering a decision in the territory of the banal, or when speculating about global politics, some find utilitarianism provides a framework to guide choices and actions. It is a comprehensive thought experiment that can be practised in the world at large. Professor Singer raised the example of the ‘Hitler conundrum’: adopting a utilitarian approach, one could easily justify the assassination of a dictator like Hitler, arguing that his death would have saved countless millions of lives and left the world a better place. The fact that Hitler’s murder would have been criminal must be over-looked as it would have been the action that benefited more people than allowing him to live would harm. However, to some who believe in stable ethics, where assassination is never acceptable, this solution cannot be justified. ‘I’m interested in utilitarianism as an ethic and whether it is defensible,’ explains Professor Singer, setting the parameters for debate. Utility, or the Greatest Happiness Principle holds that actions are right in proportion as they tend to promote happiness, wrong as they tend to produce the reverse of happiness. In this way, utilitarianism is an ethical game-changer. It asks people to assess each situation based on its outcome. No action is purely good or bad in itself, but rather it depends on the outcome. ‘The great objection to utilitarianism, as Mill con­ceives it, is that it may lead people to act unjustly, or as though justice doesn’t really count,’ Professor Singer explains. The slipperiness of language and issues around definition and interpretation also complicate matters. When deciding what action would cause the greatest happiness, one must question how to define happiness. Additionally, when the happiness or welfare of two people or groups are in conflict, whose happiness ought to be prioritised?